When it comes to hair, I guess you can call me a late bloomer. For ages, I've been contented with getting my haircut at any salon that's cheaper, more convenient and accessible to me. Not really minding if they can do a good job or not, as I've always expected stylists to not do justice to my hair anyway. I'm used to it. 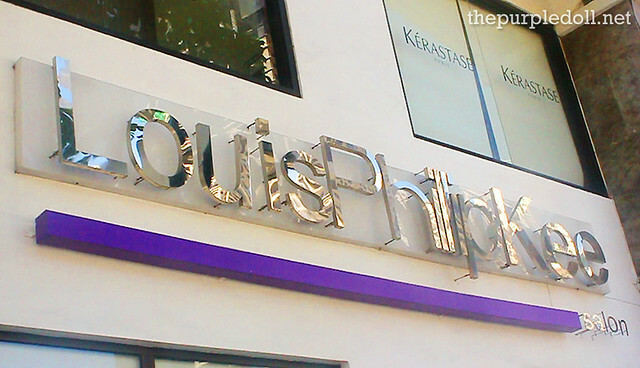 However, this all turned around when I came across Louis Phillip Kee Premier Salon. 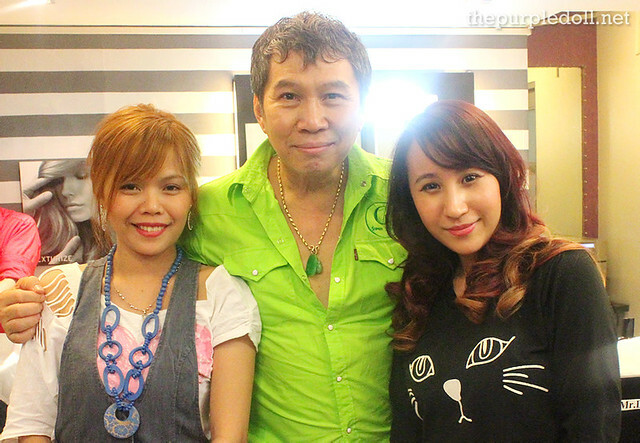 Last February, I had the opportunity to check out Louis Phillip Kee Premier Salon in The Fort. 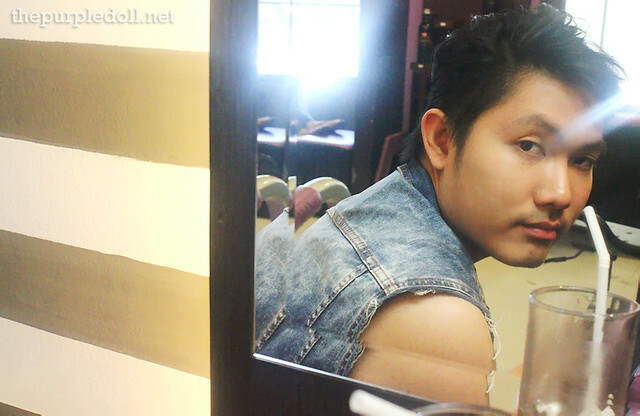 Although they also have branches in C5 Acropolis, Banawe in Quezon City, and Legaspi Village in Makati, it's at the Forbeswood Heights in The Fort that "stylist to the stars" Louis Phillip Kee himself cuts, styles and makes his patrons happy. To give you a background, Louis Phillip Kee has over 25 years of experience. He's a master in precision cutting and has trained in the prestigious Rever Hong Kong and even at the world-renowned Vidal Sassoon Academy in London. So yeah, he really knows his way with hair. No wonder almost everyone in the salon asked for him to do their haircuts! Okay, so I should've posted photos of the salon's interior. However, the place was packed when my friend and I visited on a weekday afternoon. And as courtesy, I didn't go trigger-happy mode on my camera's shutter. Rest assured though that the salon is kept clean. And while the place isn't too big, one can still get a decent private space. I used to have a medium ash blonde hair with light blonde highlights which turned rusty brown-orangeish over time. Cut is my usual overgrown layered look that's a little flat. I've also been told by many haircutters and stylists that my fine and thin hair can't produce a voluminous set of bangs without sacrificing the volume of my hair at the back. I showed an inspiration photo on my phone, and Ms. Rose Ebol, the creative color specialist, immediately got on to mixing the dyes. Though I wasn't sure if the salon can pull it off, I asked for a "purple-magenta to the lightest-my-hair-can-get" kind of ombre. Ms. Rose easily took on the job. However, she advised that they won't be bleaching my hair to a really light shade (almost white) since it may be too damaging for my brittle, already-damaged hair. And while I felt a little sad that I can't get what I really wanted, I appreciated this warning and advise. I was told to have my hair bleached one or two more times (with a few weeks in between to let the hair rest) to get the lightness I want. 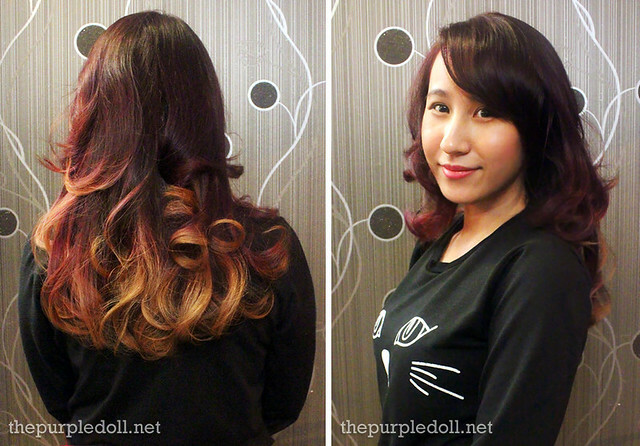 Purple to high-bleach ombre... Ain't it pretty? My hair was colored from the top to the bottom before bleach was applied. 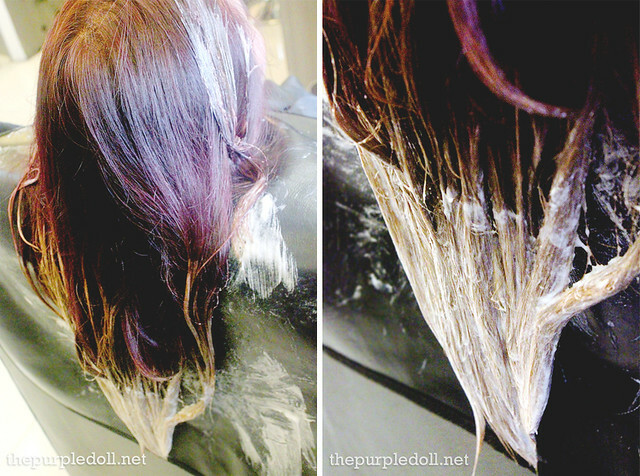 Ms. Rose also added toner to cancel out the orange hues on the bleached part. 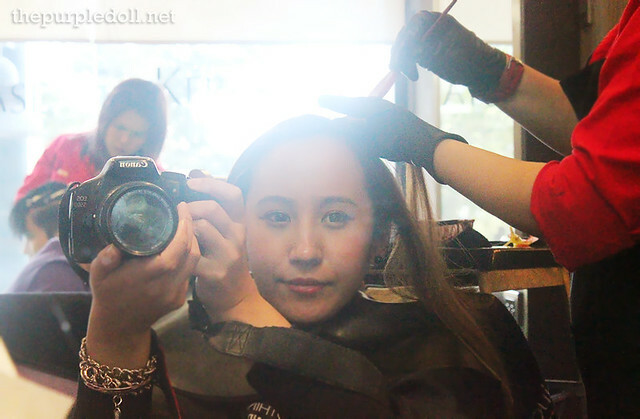 My hair was then shampooed and conditioned before I received a special hair treatment -- Keratherapy Smoothening, to tame dull, frizzy and unruly hair while nourishing it at the same time. Sir Louis really amazed me with the way he cuts hair. He had me stand up to see how sections of my hair fall with gravity. (Yung bagsak ba ng buhok.) He's also very fast with his cuts, and even does some exhibition... Throwing scissors and whatnot in the air while his assistant catches them, also with finesse. And in just under 5 minutes, we're done! At first, I wasn't sure if I'll love the outcome. But after the big reveal, I can say with conviction that I SUPER LOVE IT!!! The color was very pretty and with perfect application. The cut? I love it to bits! Even now my hair still has volume. Cutting the hair in small sections really added body to my lifeless mane. My hair never looked this good! I super love my hair! It wasn't what I originally had in mind... It's even better! This is also the first time I got a purple-reddish hair color, since I always stick to browns, blondes and ash. Love how I look somewhat edgy now. Okay, so the hair makeover is definitely far from inexpensive. 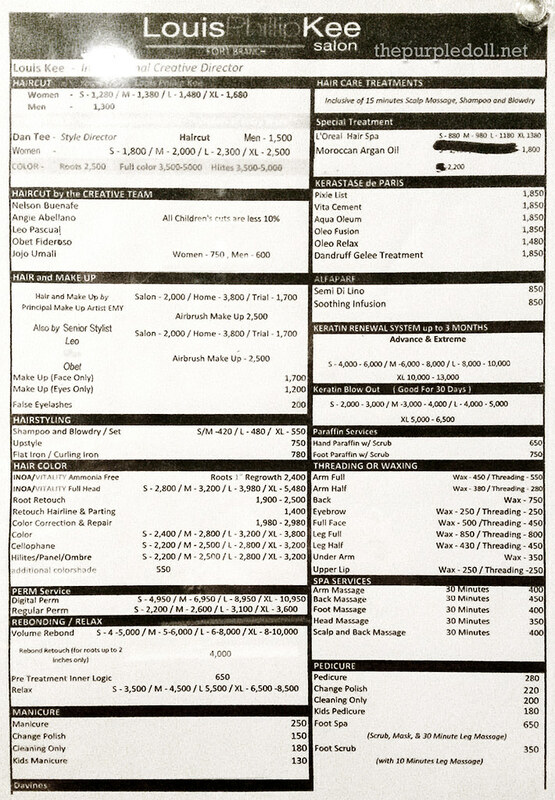 The hair color is very reasonably-priced though considering I had ombre, bleach and toner. 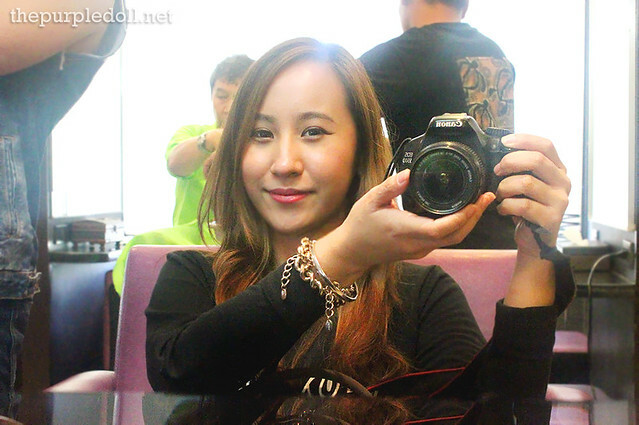 The hair treatment, while I may not avail any time soon, really made my hair look and feel healthier. I even got compliments on how my hair looks smooth and silky even after having it bleached! 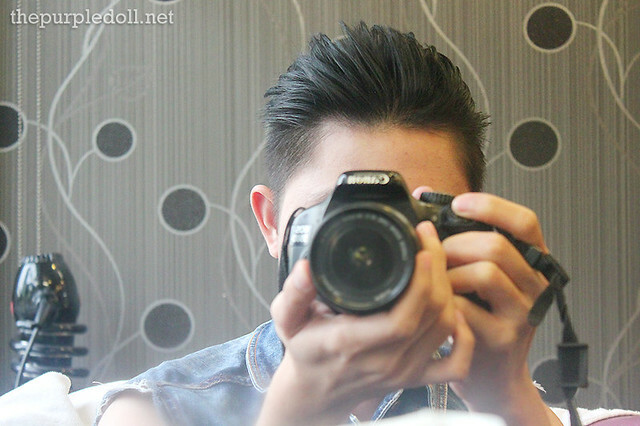 As for the cut, some may think it's on the expensive side of the spectrum, but I'd gladly avail of it again and again! Sir Louis' cut was low maintenance. I just wash it, condition, dry and part, and that's it. It still looks just as good as the first day! Definitely good value! My friend Ronn, who took wonderful photos at the salon, also received a hair makeover. And y'know what? He loved it too! Actually, he loved it even more after day one! My hair under bright artificial light; love how it turns red-pinkish! Make sure to call up for inquiries though since prices may vary. whoah! i love the hair color and the hairstyle suits you well. i wish i have extra money to get my hair done with a professional too just like yours coz I have been wanting to change my hairstyle and hair color. I also like to those salon that's cheaper,more convenient and accessible to me.Anyway your hairs looking much better now I think. You look great Sumi with this make over. You can be their model on hairstyles. I also thought of that combination purple-reddish. medyo may pagkapunk na girly... but I decided to have it permed na lang.. hehe. and I got curious with the before photos.. the hair from your crown is still orangey.. U still got the color maintained? ang galing! I miss permed hair na, but I find it really hard to maintain. I'm sure yours look really pretty! Anyway sis, on the before photo, I didn't have much black roots since it has been 2 months pa lang when I had my hair dyed blonde-ish. ^^ I'm not good with maintaining my hair color though so I often change it up. Haha! I'm really into your hair color! It's so pretty & unique. It will definitely turn heads. Sumi!!! Your new hair suits you very well. It's unique and gorgeous. Flatters your features too boot! you look more prettier with your new hair style,love it! 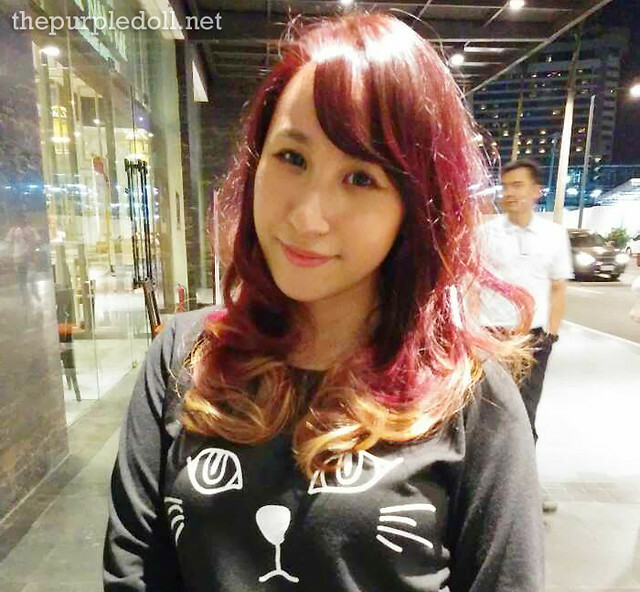 Quite expensive services, but hey, you look gorgeous with your new hair color and new hairstyle! Really nice!